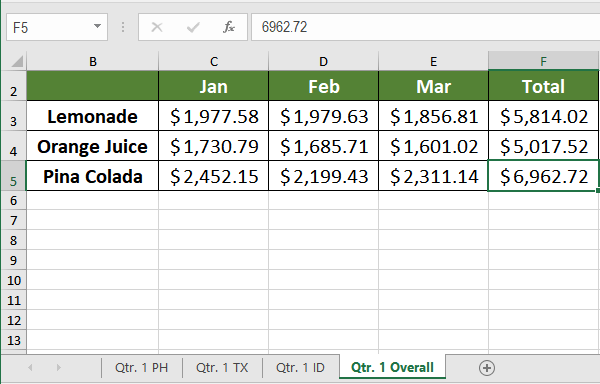 VLOOKUP is one of the most commonly used functions for looking up values in Excel. To perform VLOOKUP across multiple sheets in Excel, you can use a combination of Consolidate and VLOOKUP. 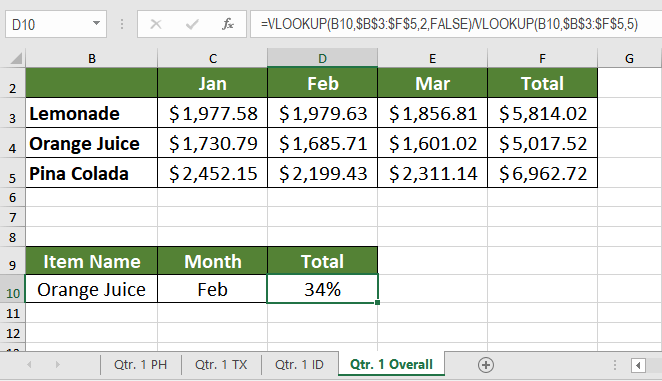 If you want to use VLOOKUP across several worksheets in Excel, you can accomplish this by using the Consolidate feature as well as certain features of the VLOOKUP function itself. Generally, you can use it to look up one sheet at a time. However, modifying the data allows us to use VLOOKUP across multiple sheets in Excel. In the following example, we have the sales record of beverages in three different states for the 1st quarter of the year 2018. The workbook contains three sheets of data for sales during the 1st quarter of the year. There are three items: Lemonade, Orange Juice, and Pina Colada. The data contains the sale records for these items during the months January, February, and March. 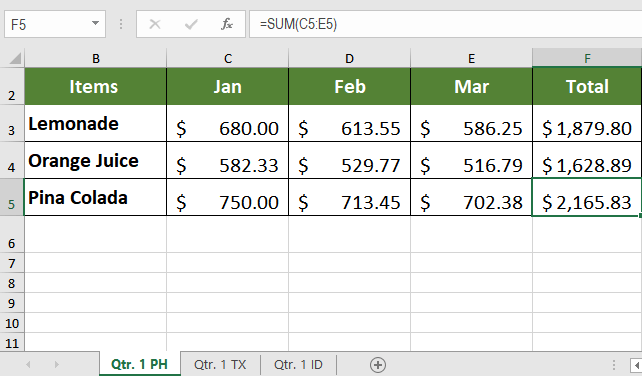 It represents the sales for three states, PH, TX and ID in the same cells B2:F5 for all three worksheets. 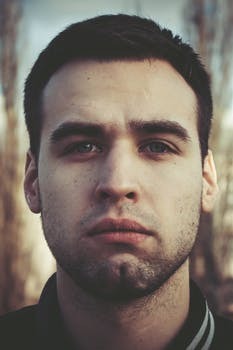 If you want to calculate the percent of individual items for any three months of the 1st quarter, you would need to extract the values with VLOOKUP and sum them. But VLOOKUP won’t work here as the sales records are laid out over multiple worksheets. In this tutorial, we will show you how to use VLOOKUP when the data for table_array is spread over multiple sheets. You will find the percentage of total sales for Orange Juice sales during the month February. Create a new worksheet named “Qtr. 1 Overall” using the “+” icon on the bottom. Click on the cell where you want the consolidated data to begin. For consistency with the previous cells, you want this cell to be B2. Select B2 by clicking on it. Now, click Data > Consolidate. In the Function box, select the function SUM. In the reference box, first click on the “Qtr. 1 PH” sheet and select cells B2:F5 dragging them with your mouse. Click Add. Click on the “Qtr. 1 TX” sheet. At this point, Excel will automatically have the cells B2:F5 selected. If not, select cells B2:F5 and click Add. Repeat the same process for sheet “Qtr. 1 ID”. Click the “Top Row” and “Left Column” checkboxes. 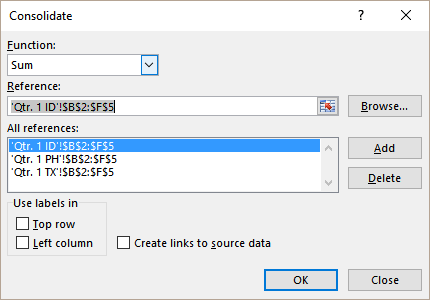 If you want the consolidated data to be updated automatically every time the sales sheets updates, click on the “Create links to source data” box. In cells B9 and C9 add the headers “Item Name” and “Month”. These will be the values returned by VLOOKUP. Add the header “Total” in cell D9. This would be the total calculated by consolidation and returned by VLOOKUP. Select cell D10, format it as “percentage.” To do this click home > % (On the Number section in the middle). This will return 34% as the percent of total sales for “Orange Juice” for the month of February over the three states. If you have trouble with using VLOOKUP and want to save hours of researching, try our Excel Chat live help service. Our experts are available 24/7 and ready to answer any Excel related question on the spot. The first question is free. I have a work book with multiple sheets. I need to search all sheets for specific text, and sum the quantities. This is an estimate form with multiple sheet that I am trying to generate a Bill of Material from the data on these multiple sheets. 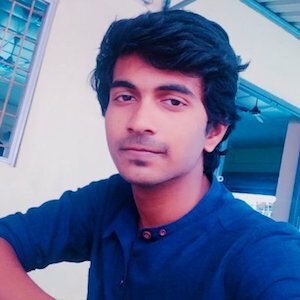 Automatic report generation from multiple sheets. Sum and Average across multiple sheets. 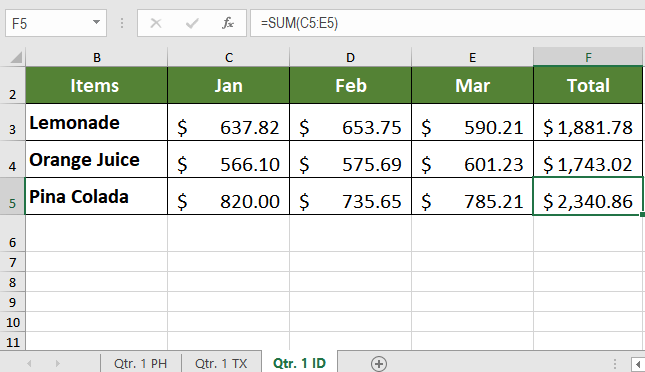 I'm quite adequate with excel but can't figures out how to do sumif and averageif across multiple sheets.